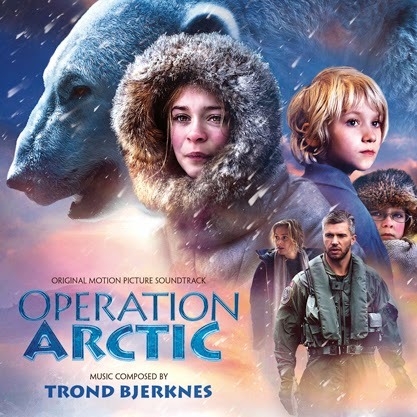 MovieScore Media ventures to the cold and desolate Arctic circle with its latest release, Operation Arctic (Operasjon Arktis) by Trond Bjerknes. 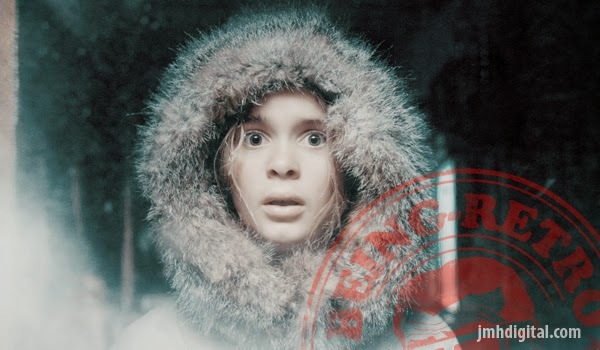 Written and directed by Grethe Bøe-Waal based on the bestselling novel of Leif Hamre, the film follows the adventures of three children who are left alone in a winter storm on an island of the Spitsbergen. 13-year-old Julia (Kaisa Gurine Antonsen) and her two 8-year-old twin siblings Ida (Leonora Valestrand Eike) and Sindere (Leonard Valestrand Eike) must fight for their survival while their parents on the mainland are desperately looking for them, not realizing that they are stuck on the other side of the Arctic Ocean. The music for Operation Arctic was written by Trond Bjerknes, a veteran of the Norwegian film scoring scene. Born in 1958, Bjerknes started to play the piano at the age of five, he wrote his first composition a year later. He stayed in the United States for five years and studied at the Berklee College of Music in Boston to gain experience in film scoring. Back in Oslo, he formed his own production company; his debut film was Hamilton (1999), directed by Harold Zwart and starring Lena Olin, Mark Hamill and Peter Stormare. His work on Cecilie was nominated for the Danish Robert Award in 2007, while his music for Max Manus was nominated for the Norwegian Kanon Award in 2008. "The score is written and produced to reflect the hostile beauty of the Arctic environment and the challenges these three children experience trying to survive alone on the deserted island" says the composer about the role of his music in the film. The score is a hybrid of symphonic and electronic solutions, utilizing smooth synth textures, solo voice, solo violin and cold percussive samples to paint the portrait of the Arctic circle. The cues range between deeply emotional, almost spiritual moments (such as ”Northern Lights”) and high-octane action scenes as the three children face the dangers on ice ("Into the Water", "The Rescue"). The versatile scoring of Operation Arctic covers every aspect of this mysterious world as the music conjures up images of ice and darkness on its own. I love being introduced to new music from across the globe, it is amazing talent here for you all to hear from composer Trond Bjerknes. You can find all levels of adventure in the score to this film, following the notes to script to screen... It's a treat, truly! It's wonderful to hear about music around the globe.